F&P Robotics AG officially released the P-Rob 2, the second generation of the collaborative robot for industrial and personal service applications. 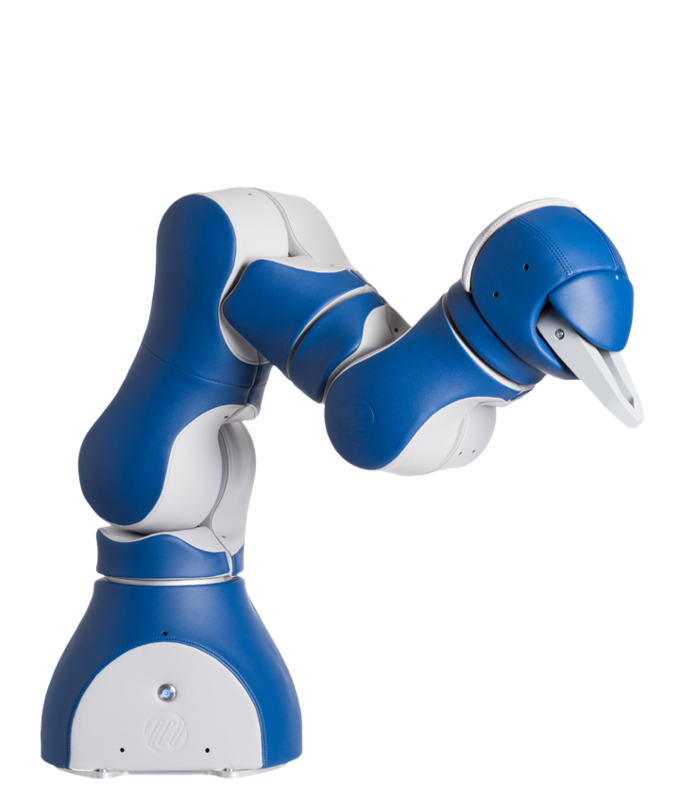 F&P is a Swiss pioneer in collaborative lightweight robots and its newest product P-Rob 2 is an all-in-one robotic solution combining robot arm, sensor technologies and software including an embedded PC as control unit. So all that needs to be done is plug-in and run. The P in P-Rob stands for ‘Personal’. F&P emphasizes this aspect and made P-Rob the most accepted robot by co-workers. This is reflected by the way of communication between robot and human, the way of co-working and not at least the design. Its shape and soft cover in different colors makes it individual. Additionally a consistent safety concept enables the close human-robot collaboration. With around 110°/s movement velocity per joint, 3 kg payload and ± 0.1 mm repetition accuracy, P-Rob can perform most tasks required for collaborative light-weight robots. Task Generator: A smart assistant to teach the robot a complete task without any programming. Stored skills get automatically active. Skill processing: As a combination of mechatronic and software features, skills are built and managed with pre and post condition check. Powerful interfaces for the Open Source Package ROS (Robot Operating System) and remote connections through Web Services. Support of Modbus TCP for communication with industrial PLC devices. F&P has put a lot of efforts to bring humans more into the focus of this collaborative work. It is not enough to provide a human-machine interface. Every long term cooperation results in a relation between the co-workers, either positive or negative. Nowadays, this relation is mostly a cold relation, where humans feel to be replaced by metallic systems. P-Rob, powered by its clever myP software concept, builds up an active relation to humans already by its appearance. The color can be chosen up to the gusto of co-workers or leaders, and to touch the robot by feeling its nice leather surface combined with a soft layer below it, leads immediately to a special attention which goes beyond the recognition of a machine. Communication features including speech functions of P-Rob and body language (a sleeping discipline so far) provide a positive, active relation between humans and the robot co-worker P-Rob. The first reseller meeting in November provided a very positive feedback from the professionals in robotic automation from all over the world. They are strongly motivated to sell P-Rob 2 in their countries in both, industrial and service robotic areas. F&P Robotics AG, founded in January 2014, is a Swiss pioneer in the field of Personal Robotics. The company develops and produces collaborative lightweight robot manipulators. The company focuses on collaborative robotics by reducing complexity in automation. Not only large but also small and medium sized businesses can rapidly benefit from the use of robotics. The design of the F&P robots is based on a consistent safety concept that enables direct human-robot collaboration. As working environments are more and more dynamic, robots have to be mobile and equipped with Artificial Intelligence algorithms. They can generate alternative solutions when the context changes or exceptions occur.